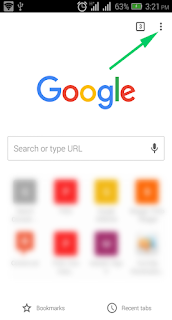 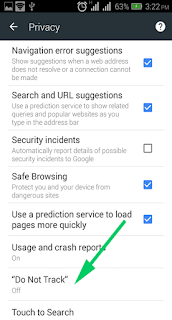 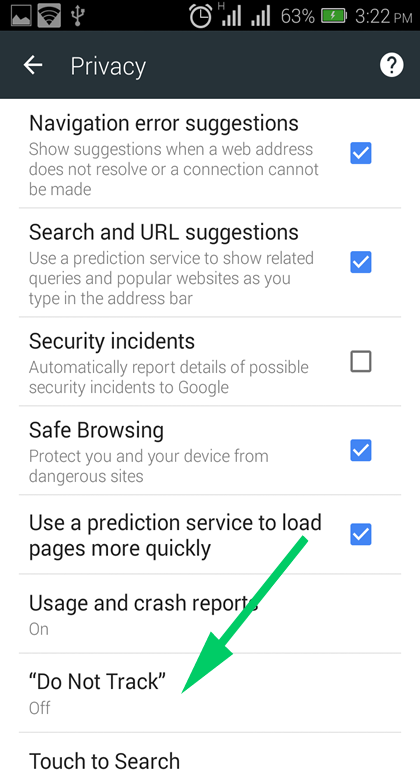 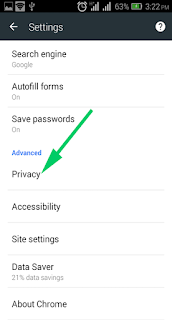 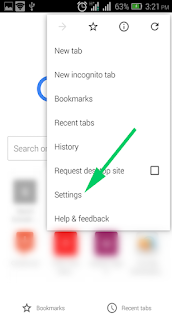 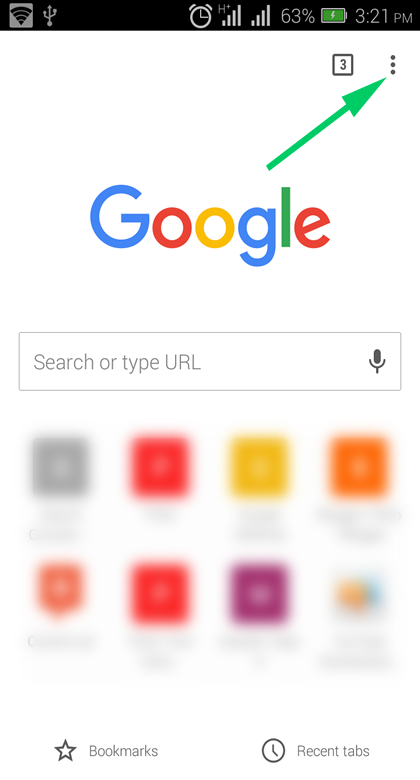 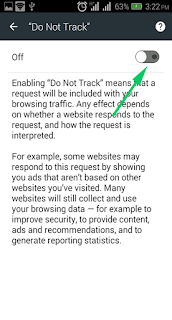 The steps involve when deactivating the Do Not Track feature of Chrome browser in Android and Tablet devices is quite similar, that is the reason why we are using just this one article to explain it, in stead splitting it into two articles. 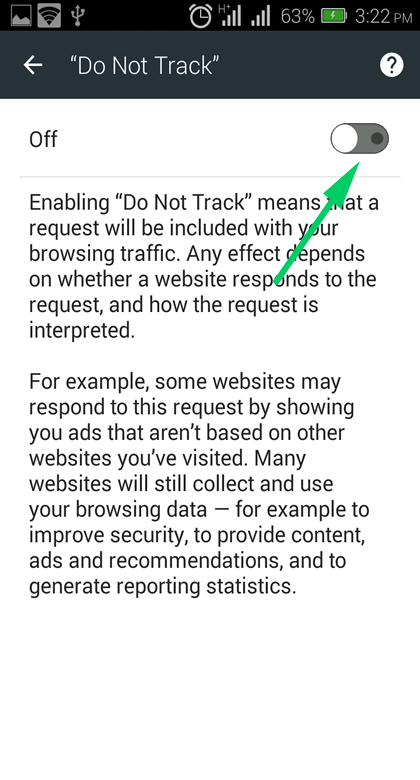 The steps are outlined below. 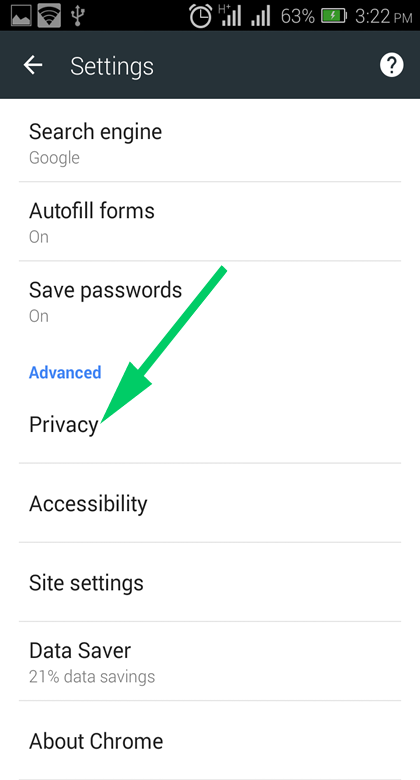 Finally use the Toggle Switch to toggle Off to deactivate it.